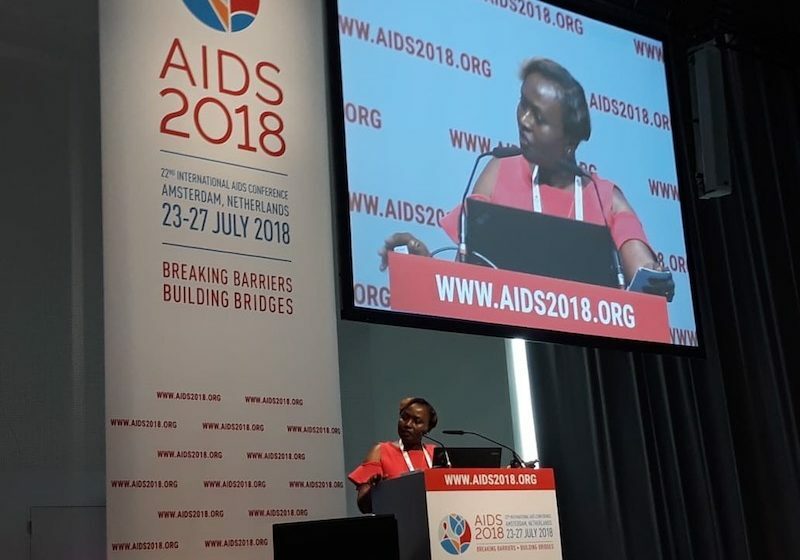 AMSTERDAM—“A collective voice is much stronger than a cry of one,” Mary Muia said to a crowded room Thursday, July 26, during the 22nd International AIDS Conference. 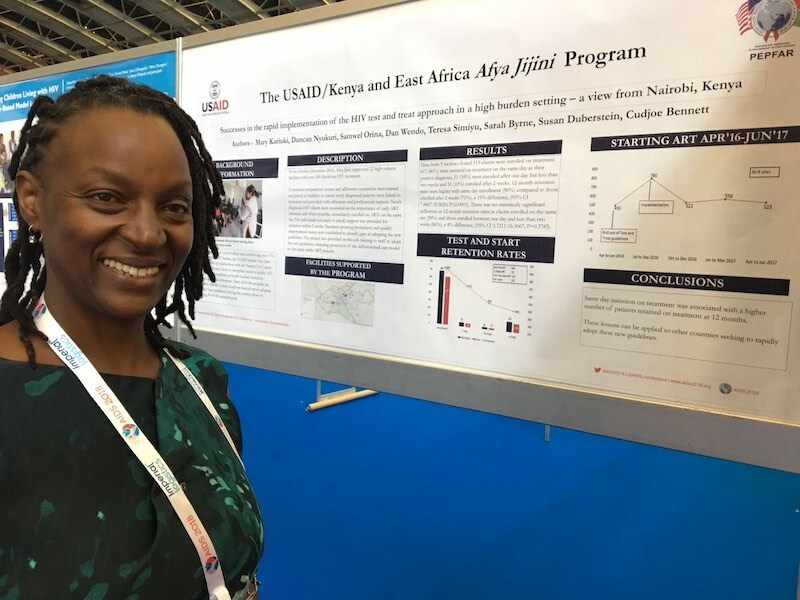 In the same room where Sir Elton John sat on a panel the day before, Muia presented her oral abstract, “Confronting Violence Against Women: Implementation research, economics, systems and synergies with other health and development sectors. Muia works with the USAID/Kenya and East Africa Afya Jijini Program, which is implemented by IMA World Health. The program uses the Determined, Resilient, Empowered, AIDS free, Mentored and Safe, or DREAMS, intervention with the goal to empower adolescent girls and young women, and reduce their HIV risk in Nairobi, Kenya’s informal settlements. In Kenya, 5 in every 10 Kenyan women, ages 15 to 49, have experienced at least one form of violence in their lifetime. The girls in the slums are even more vulnerable to HIV infection, and often engage in what is called “transactional relationships” where men take advantage of young girls by offering to support them in exchange for sexual favors. The girls and young women often lack job skills that would enable them to support themselves in any other way. Girls in these types of relationship lack the ability to negotiate or request that their partners be monogamous, use condoms or get circumcised. “[It] is still largely unheard of for most adolescent girls and young women living in the project’s catchment areas,” Muia said. The need for trauma counseling support and information sharing on gender-based-violence, or GBV-related matters is pivotal to the transformation of girls and young women. The earlier the girls and women are exposed to GBV prevention information, the more likely they are to report being assaulted. Multiple platforms for GBV prevention awareness is key for communities to shun negative gender norms. IMA staff were also active in the “Faith Building Bridges” satellite event sponsored by the World Council of Churches-Ecumenical Advocacy Alliance. 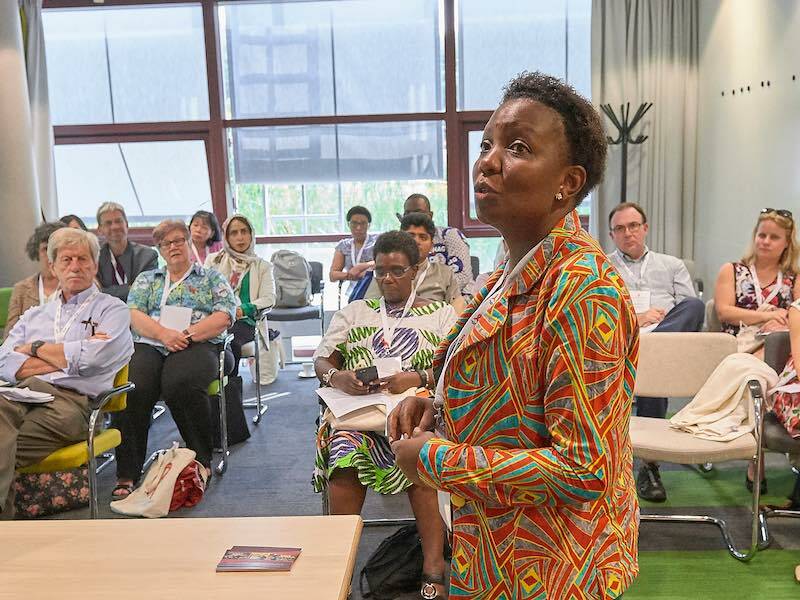 Here, IMA World Health staff member Nkatha Njeru explained how the Africa Christian Health Associations Platform drew on its work in other countries to help the Christian Health Association of Nigeria develop tools to engage faith leaders. ACHAP facilitates learning and joint advocacy for Christian Health Associations and their development in sub-Saharan Africa where CHAs provide health care services to some of Africa’s most vulnerable communities. At the invitation of the WCC, Senior Director for External Relations Matt Hackworth and Senior Communications Officer Kara Eberle also led a storytelling workshop for HIV advocates. The conference hosted 15,000 participants and featured several key announcements in the global fight against HIV and AIDS, including the creation of the MenStar Coalition, a billion-dollar effort to expand HIV testing and treatment for men. Prince Harry, Sir Elton John and Ndaba Mandela announced the effort during the Amsterdam conference. 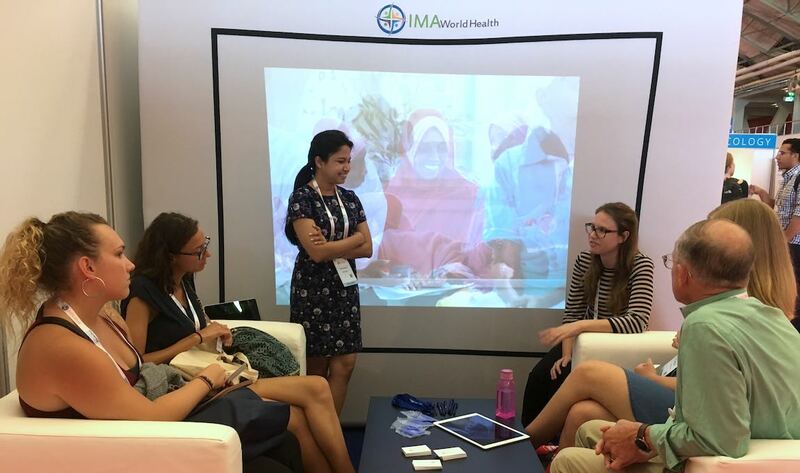 Read more about IMA World Health’s HIV and AIDS work here.